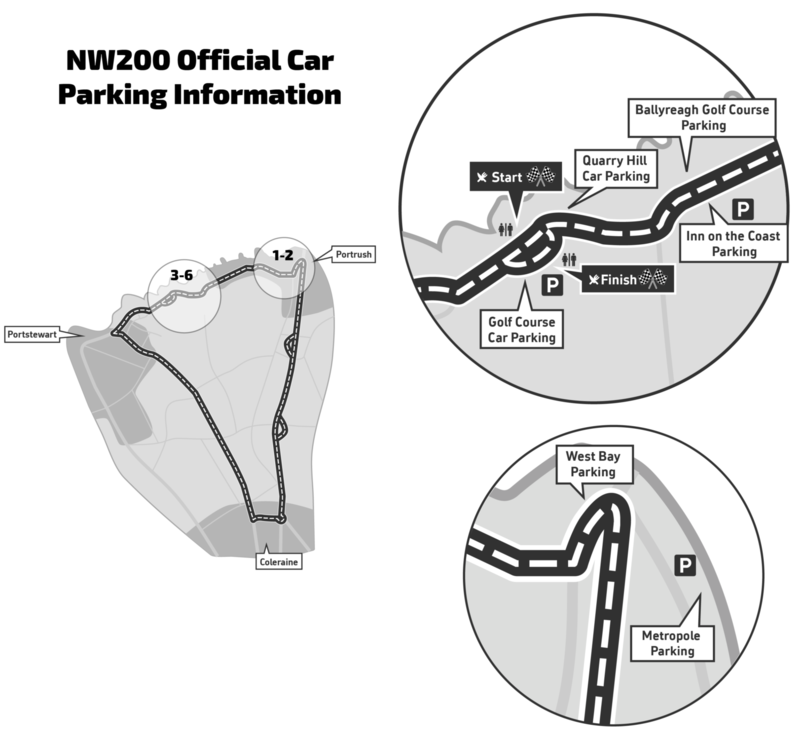 There are a number of official car parks around the circuit. All car parks are clearly marked with signage and we would ask that you please support the event by using them. Please note these car parks for the use of cars and bikes only – NO Motor Homes or Vans will be permitted! Disabled Parking – Available on the area beside Inn on the Coast Hotel & on the Golf Course Car Park beside the Paddock Area. These are on a first come basis.